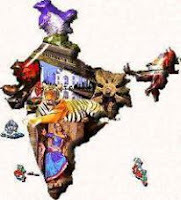 India GK Question Sample Paper 8: India General Knowledge (GK) Sample Question Paper No. 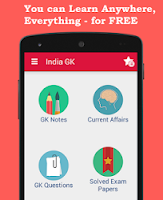 8 with Collection of India GK Questions under GK Quiz in PDF @ India GK Sample Papers. Q. 151. The Kailasha Temple is located in the caves of ? Q. 152. The jain saint credited with the spread of Jainism in Karnataka is ? Q. 153. The first Indian Elected to the parliament of Great Britain was ? Q. 154. Bibi ka Makbara is built by ? Q. 155.Hunter commission is associated to ? Q. 156. Which one of the following languages was known as "REKHTA" ? Q.157 73 वां संविधान संशोधन अधिनियम किससे संबधित हैं ? Q. 158. Who formed the Home rule league ? Q. 159. Who among the following rulers was first to embrace Buddhism ? Q. 160. Humayun restored the Indian Kingdom with the help of the rular of ?